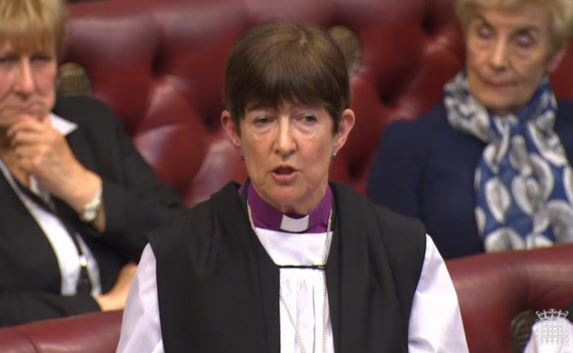 The Lord Bishop of Newcastle: My Lords, I, too, rise to speak in support of Amendment 41. I declare an interest as a vice-president of the Children’s Society. In the area covered by the Diocese of Newcastle, the Children’s Society data tell me that there are more than 42, 000 children living in poverty and that almost 18,000 children from almost 16,000 families are living with the blight of problem debt. Last year, I read a report in the New York Times on a large, randomised trial involving 21,000 people on the efficacy of various aid mechanisms to bring people out of poverty and debt. What emerged surprised the researchers. It emerged that one key mechanism is more effective than any other, and that mechanism is hope. Families that are stressed and trapped in poverty and debt can feel real hopelessness that becomes entirely self-fulfilling. Give people a reason to hope, and it can make an extraordinary and real difference. A breathing space is one of the things that can offer such a hope—a hope that there is time to find a way through. I am sure the Minister is aware of the long-running campaign of the Children’s Society and StepChange to achieve a breathing space scheme for those in problem debt. I understand that, prior to the election, the Government indicated their support for the principle of such a scheme, and I would be very grateful if the Minister could update us now as to the current situation and about any further progress on this. Lord Kirkwood of Kirkhope: …One of the reasons why this is so important is that debt, I think, is going to get worse, which is probably a realistic assumption to make for the next four or five years. I have spent my entire life working on the benefits, social security and social protection side of state provision. It is increasingly untenable that the calculation of means testing takes no account whatever of levels of benefit. People might well be applying for universal credit now, and being allowed work allowances and tapers that are appropriate to a clean sheet of paper, but no question is ever asked of decision-makers about to what extent the household debt behind the application affects the family circumstances—which affects child poverty, as the right reverend the Prelate Bishop of Newcastle just pointed out to some effect. This is the most important part of the Bill for me. Baroness Buscombe [Minister]:..As I said at Second Reading, the Government recognise that the cost of living can sometimes become too great. Problem debt can be hard to escape and can compound family breakdown, worklessness, stress and mental health issues, along with other issues such as those raised particularly eloquently by the noble Earl, Lord Listowel. I understand that the breathing space is of particular interest to noble Lords and that some expressed disappointment that a breathing space scheme was not provided for in the Bill. But I would like to reassure noble Lords that the Government are committed to tackling problem debt. The Government’s manifesto, as noble Lords have referenced this evening, proposed the introduction of a statutory breathing space scheme and statutory debt repayment plan. This is an important and complex issue. It requires thorough preparation and consultation on details, such as who could be eligible, which debts could be in scope and how someone could enter into a breathing space. It is of the utmost importance that we get this right. Indeed, the amendment proposed by the noble Lord, Lord Stevenson, and the noble Earl, Lord Listowel, sets out that there are a range of important policy questions that have to be considered. In addition, the numerous points raised by noble Lords this evening demonstrate, I believe, the need to proceed on this issue with care. We have to get it right. Indeed, the noble Lord, Lord Stevenson, referenced that terrible day in the year, 23 January, when the Christmas overspend ​becomes a reality. We have to get to the heart of how we prevent that in the first place to the best of our ability, which will be very difficult through legislation. Just having a breathing space will be progress, but perhaps it is also about encouraging a cultural shift. Maybe that is simply through financial education, but maybe also through the process of managing the breathing space and drafting the legislation so that it can encompass a truly in-depth approach. Prevention is really what I am referring to here. As all noble Lords have said this evening, debt is becoming more and more of a problem. Indeed, the point my noble friend Lord Trenchard referenced is also important: how do we deal with this issue and avoid unintended consequences —as we all know, so much legislation ends up with unintended consequences—for the markets? We have to think about the whole issue with care. I want to reassure noble Lords that the Government are committed to developing a breathing space scheme. Work is ongoing and the Government will set out their plans for taking this proposal forward in due course. Placing a statutory duty on the body to review the case and advocate for a breathing space is therefore, we believe, not necessary. I urge the noble Lords to withdraw these amendments. Lord Sharkey: …I understand that it is difficult to answer the questions asked about legislative vehicles, but it would be immensely reassuring to the Committee to hear more specific answers to the questions, “Likely, when? Likely, how? Likely with what vehicle?”. In the absence of those answers, it is perfectly reasonable for us to say that we think we need more definite speed, which is what we propose. I am sure that we will return to the issues on Report, when I hope that we can focus on producing a moratorium on debt and a ban on cold calling. In the meantime, I beg leave to withdraw the amendment.